Napolatano's has been serving Gainesville since 1979. 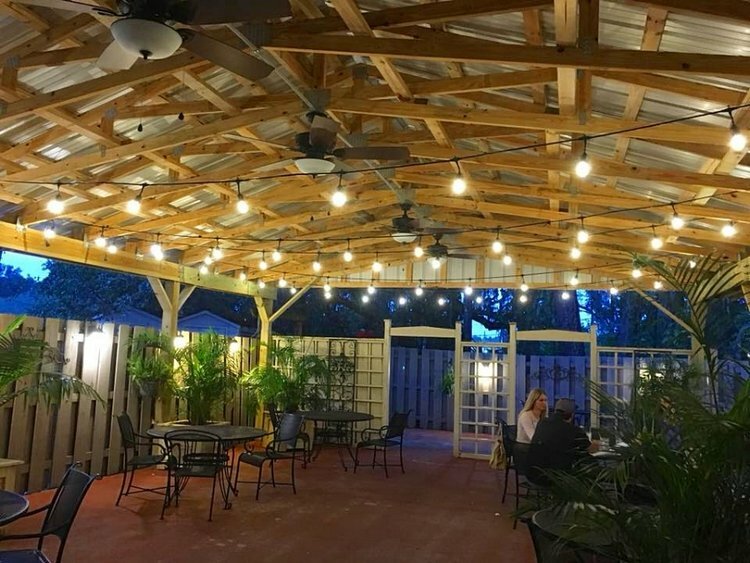 We have one of the most extensive selections of entrees in town -- Featuring hand tossed pizza, traditional and trendy pasta dishes, the freshest seafood, huge burgers and subs, Gainesville's best chicken wings, monthly chef specials and certified Angus beefsteaks. Come and participate in Karaoke every Friday night or enjoy the music of local bands every Sunday on our patio. We have three private rooms for business meetings, birthday parties and rehearsal dinners. On and off premises catering is also offered. We are open seven days a week from 4pm on.